99.5 WOKN is a family friendly radio station involved in multiple community events throughout the year. We have LIVE local on air personalities that engage the audience on a daily basis. 99.5 WOKN plays the most current Hot New Country with a mix of top ranking songs from the 1990s & 2000's. WOKN continually supports local charities and various fund raising opportunities. 99.5 WOKN also hosts annual contests with listener loyalty. Hot Country draws a young, active segment of the Country audience. The music is wrapped with clever imaging, engaging air personalities and fun, large-scale promotions. Feature professional quality, impressive, and creative commercials for any market. Our powerful signal reaches thousands of potential clients and unlimited streaming listeners. If you are new to advertising, let us help make your business sound professional and well established. Tower Broadcasting LLC uses the finest quality microphones and audio editing software to help produce your ads professionally. Our powerful signal strength and dedicated, around the clock engineers insure your message broadcasts across two states and reaches multiple counties surrounding the Twin Tiers. We offer multiple station streaming options for listeners in virtually all demographics. Community spirit is at the heart of 99.5 WOKN. Build great public relations for your business by banding together with potential customers to root for the local sports teams. We broadcast the games as they’re happening, we get diehard fans, families and friends of the players as well as people who simply want to be in the now with how the team is doing listening to our broadcasts. Those listeners want to trade dollars for products/services of businesses that support the same team they do. 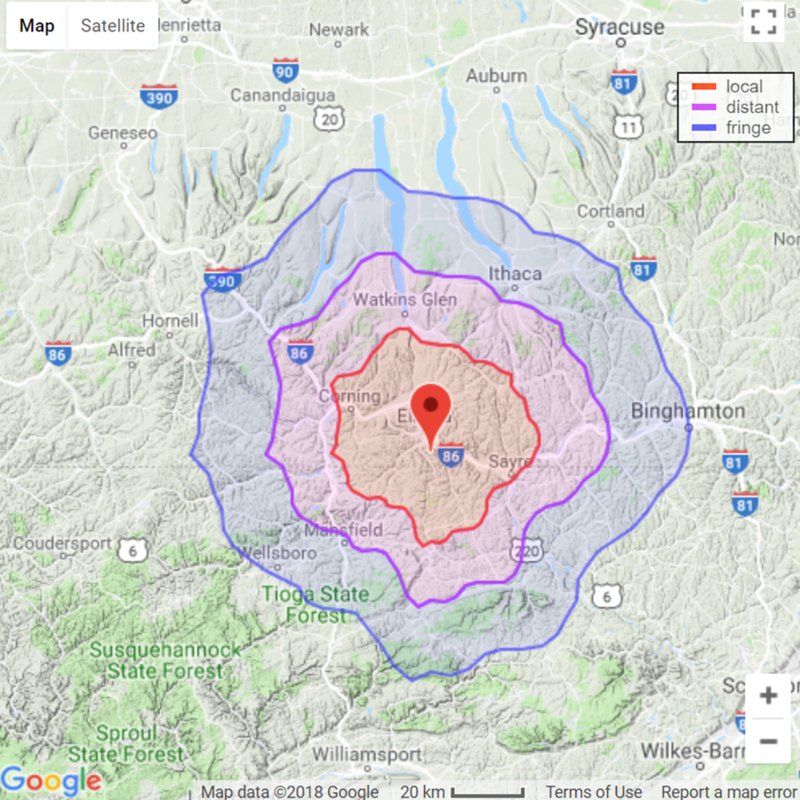 Want to have the population center of the Twin Tiers hear your advertising message? Then call us and request a visit/call back with one of our marketing representatives to see how we can best serve your needs. Call (607) 733-5626 to find out how to put 99.5 WOKN to work for you! Check out Tower Broadcasting LLC's multiple broadcasting opportunities for any demographic. Click the icons below to hear selective music or visit our websites listed above each picture.